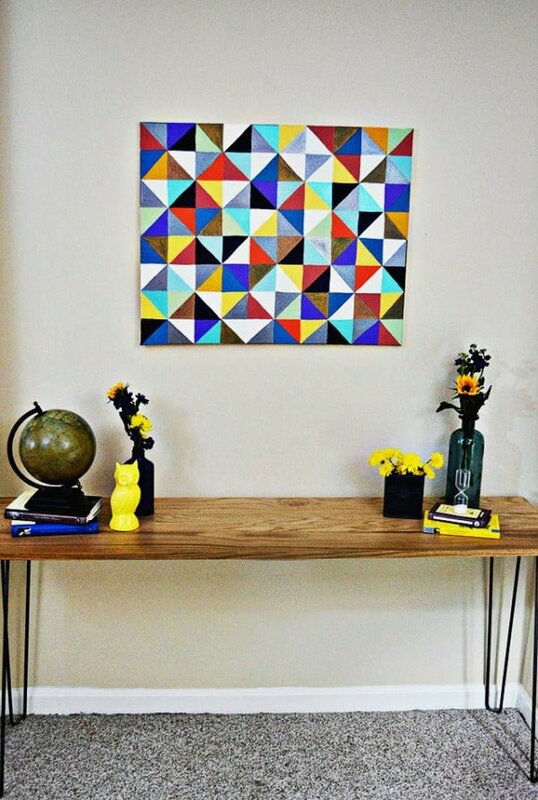 Are you into mid-century modern home decor style? A few accents in this style certainly add a lot of charm. 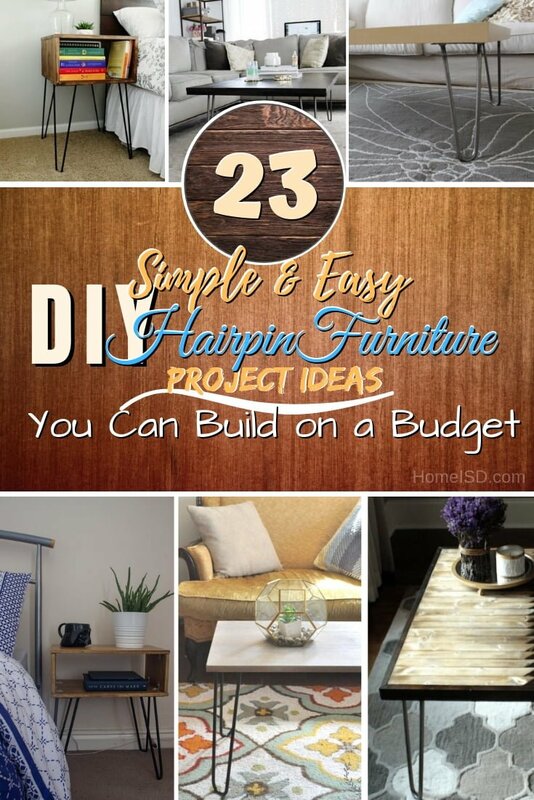 So do these DIY hairpin furniture projects. If you think about mid-century modern, the first thing that comes to mind is the hairpin legs of the furniture. They are sleek and attractive. They make the furniture look thin and occupying less visual space. And it makes a lot of sense to add such a piece of furniture to a room if you want to create an accent. The only downside is that such stylish furniture cost a lot of money. Way more than your basic IKEA (or similar) budget furniture. Good thing you can get the look for pennies on the dollar if you DIY. And the following creative and rather simple project ideas will help you do that. Check these out! 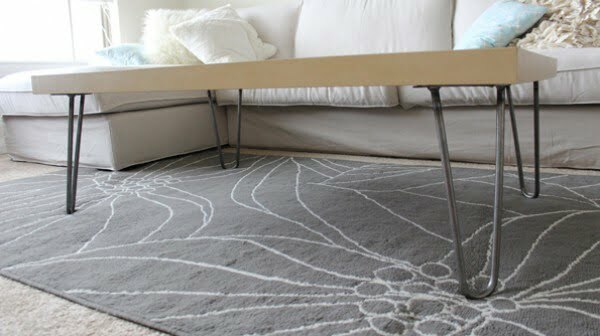 How to make a DIY hairpin table with a rustic wood gray top. DIY directions and where to find supplies. Read the article to see how it’s done. 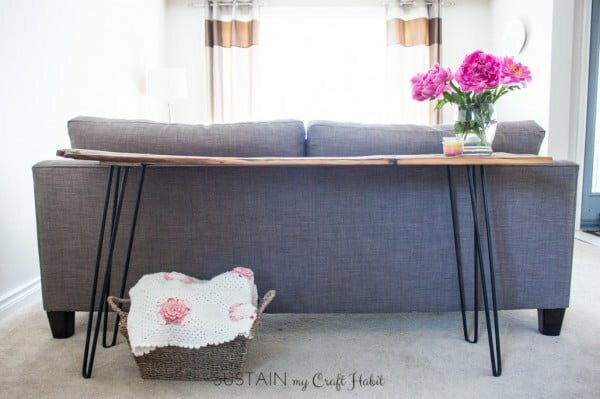 This is a terrific DIY hairpin leg coffee table on a budget. Check out this website for the entire details and instructions. 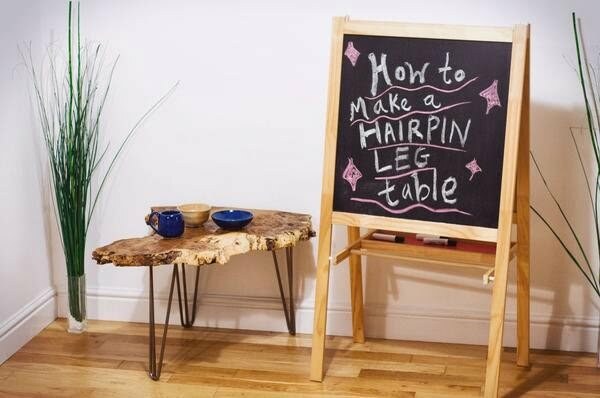 These DIY hairpin leg side tables are easier than you think to make on your own. Made using real wood. Check out the tutorial to get the complete guidance and instructions. 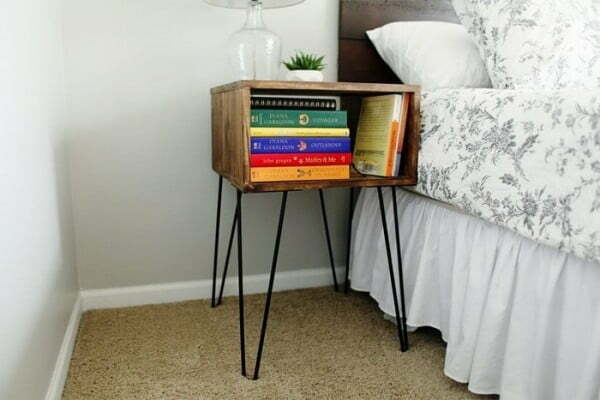 An easy tutorial for a mid-century hairpin nightstand that even those with the worst DIY skills can knock together in a few hours. Read the tutorial for the entire guidance and instructions. 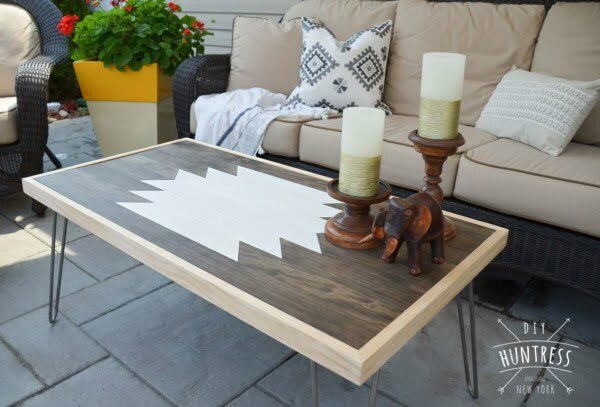 These free and easy DIY plans will show you exactly how to coffee table with hairpin legs and an awesome patterned top. No woodworking experience required. Read the article to see the full guidance and instructions. 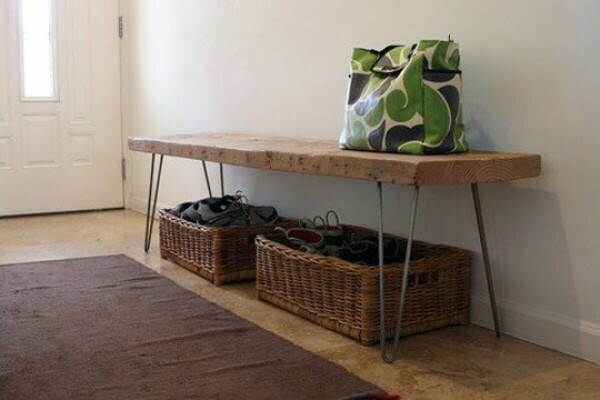 For this entryway/console table, you need super minimal woodworking skills and a few supplies, so it is a great project to tackle if you are new to DIY furniture. Check out this website to find out how it’s done. Mid-Century Modern furniture can be challenging to find and expensive to buy. 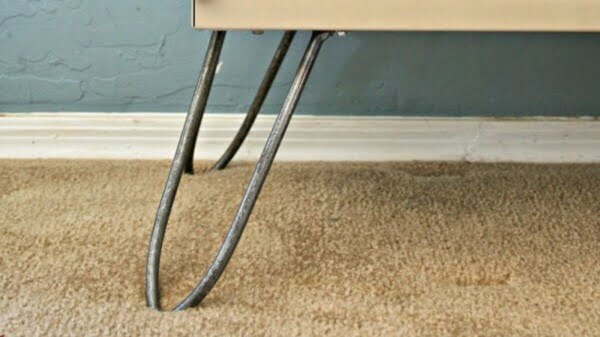 You can dress up your piece of furniture by adding DIY hairpin legs to provide that Mad Men touch you’ve been looking for. See the link to see the entire details. 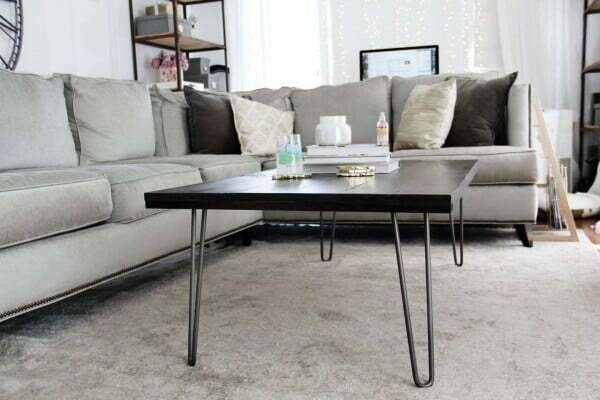 Create this fantastic DIY hairpin leg coffee table you can craft the easy way. Follow the tutorial to see how it’s done. 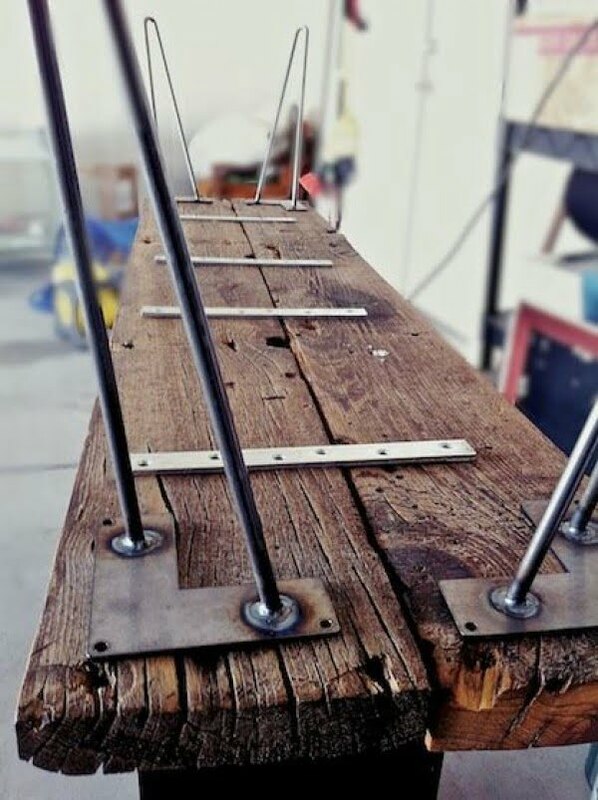 Learn how to make your own one-of-a-kind DIY console table with hairpin legs and a stained barn board surface. Follow the link to find out how to do it. 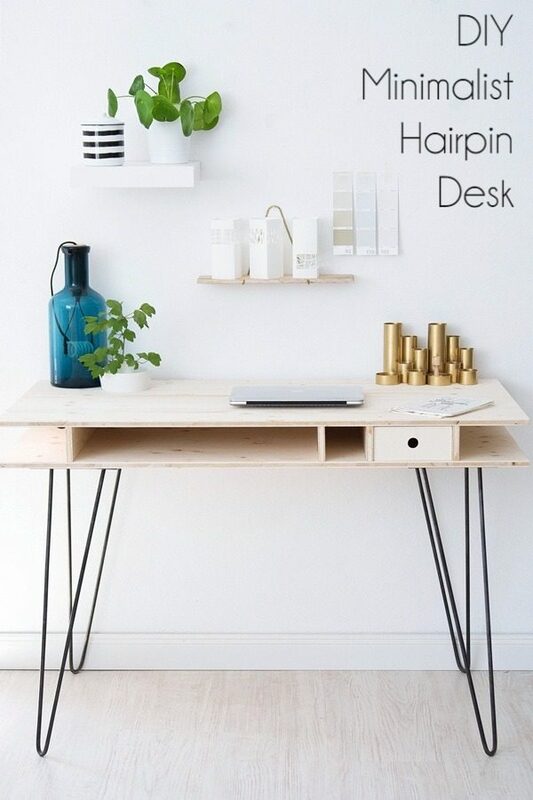 Do you want to create your own DIY hairpin leg table but you’re worried it will be too hard? See how easy it is to create your table. See this website for the entire details. It’s 6 feet long x 3 feet wide, hard maple wood top with iron hairpin legs. See this website to learn how to build it. How to make a hairpin leg table in five easy steps, using a natural oak burr slab. See this website to get the complete plans and instructions. 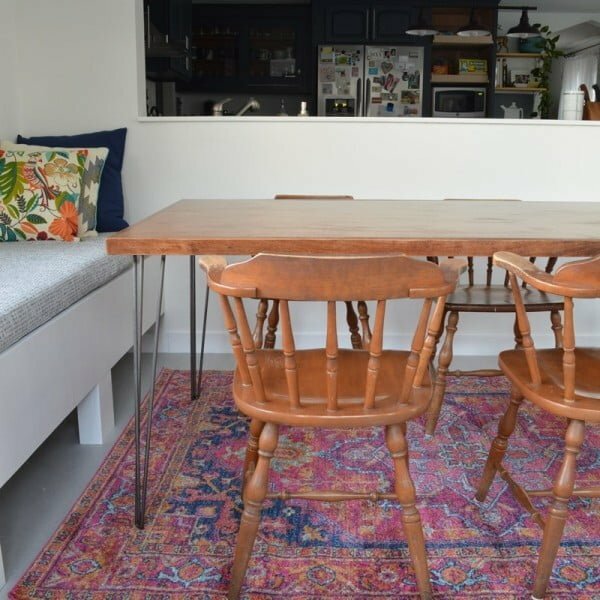 Make the DIY hairpin leg dining table on a budget. Read the link to see how it’s done. If we saw this beauty in a store window, we’d imagine it came with a hefty little price tag. But guess how much this small DIY number came in at? Follow this website for the complete plans. 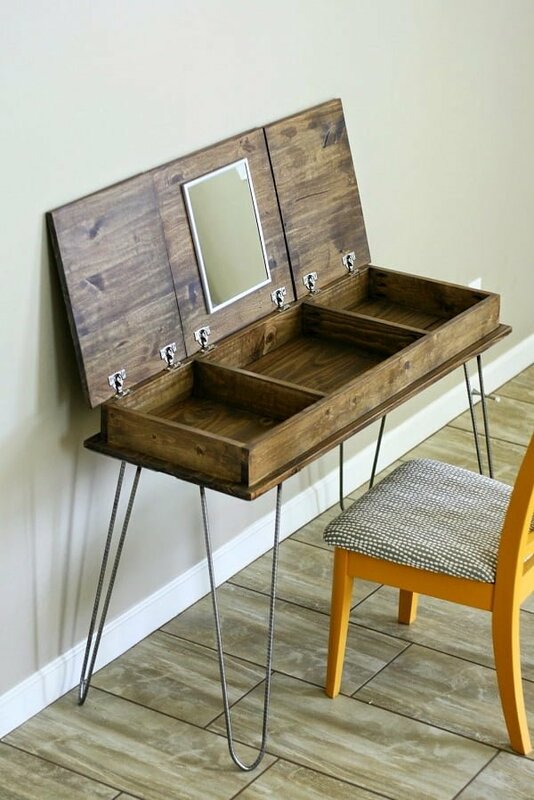 Create this tremendous DIY makeup vanity table with hidden storage and hairpin legs the easy way. Follow the tutorial to learn how it’s done. 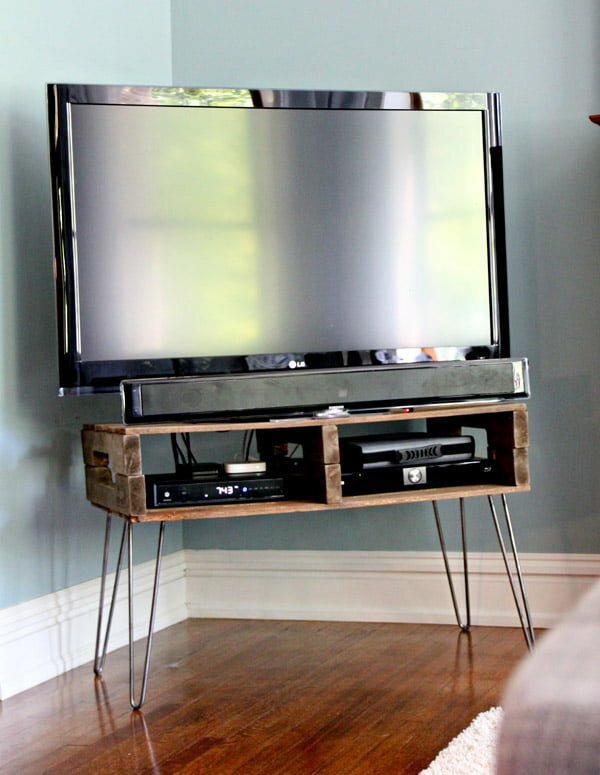 If you happen to have one or more palettes just lying around in your garage, it is time to make this dreamy TV stand alive. Using simple materials and tools is always inspiring and beyond chic, and this TV stand exudes simplicity and a pure design outburst. Speaking of benches from the Atomic Age, this little jewel is not only a perfect ringer for something out of that era, but the materials only cost about as much as you’d spend in 1963. If that isn’t good enough, it also is a rapid and easy project to create. 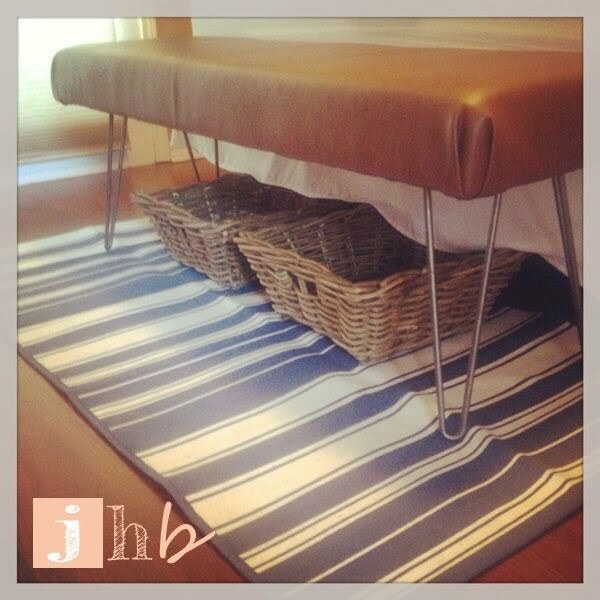 Some of the best and most simple DIY bench ideas come from people who are not typically involved in such things. Here is a beautiful and straightforward project that looks great. 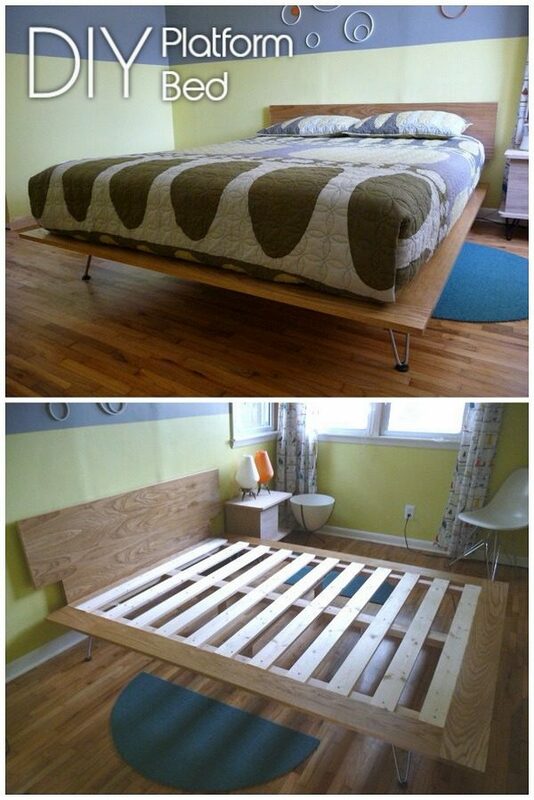 This project again uses hairpin legs for this low-lying platform bed frame. 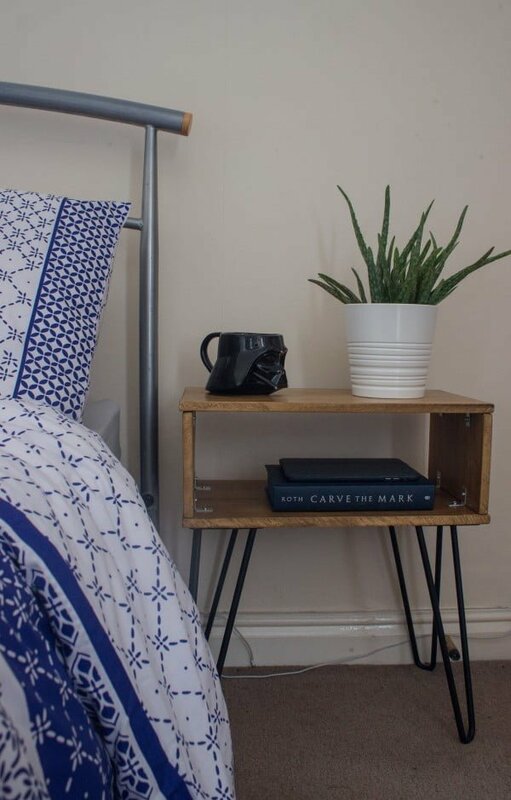 The maker of this bed admits that this was his first ever woodwork project, so this we guess will be encouraging for all ye first-timers out there! Please follow the tutorial to learn more. 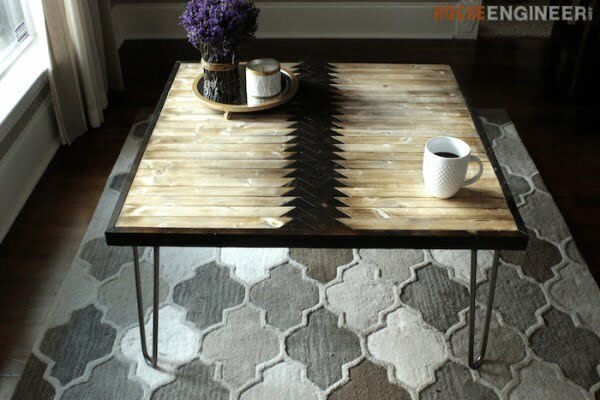 Those who would like to inject a bit of personality into their interior furnishings can try this coffee table project. It features a stained wood top with a natural grain finish around the edges. In the middle is a geometric pattern that can be modified by the creator. Hairpin legs provide support from the corners. The primary material in this project is a Walnut slab. Cut the piece into reasonable shapes and glue them together. Sand the resulting wood then fill holes with tabletop resin. 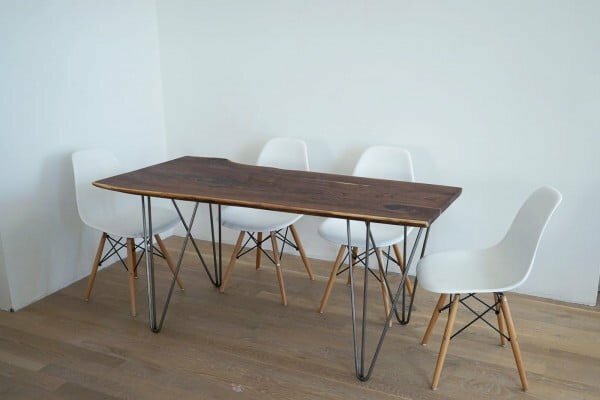 Hairpin legs as the base of the table are necessary for supporting the top of the table. 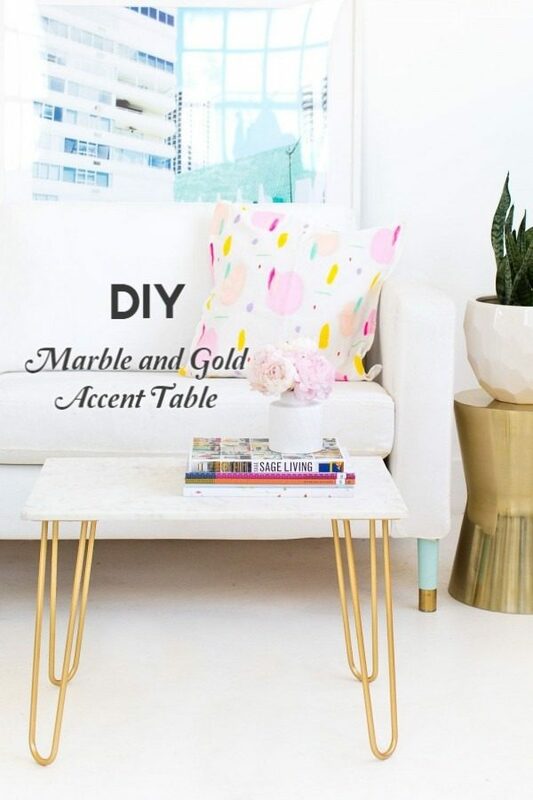 Acquire a marble board and hairpin legs from the hardware store. Use gold paint to color the hairpin legs. Let it dry then apply shellac spray on top. Glue the legs using liquid nail onto the marble board. Leave it out in the open for the liquid nail to solidify. Few things are more sleek and minimalist than hairpin legs. 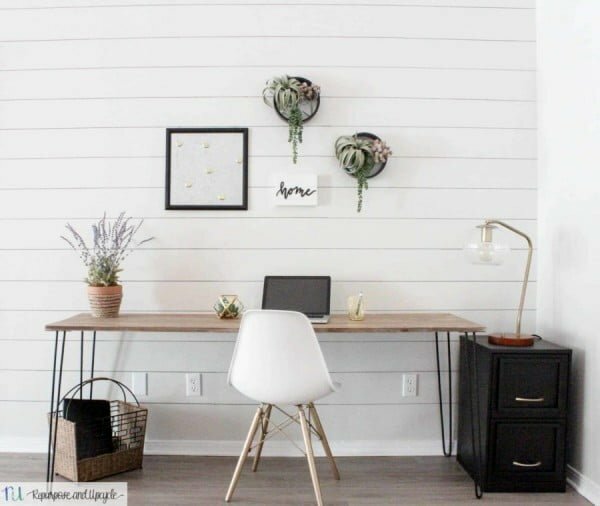 When paired with a simple two-ply light wood desktop with a single drawer, you have the ultimate ode to that Scandinavian simplicity so many crave. 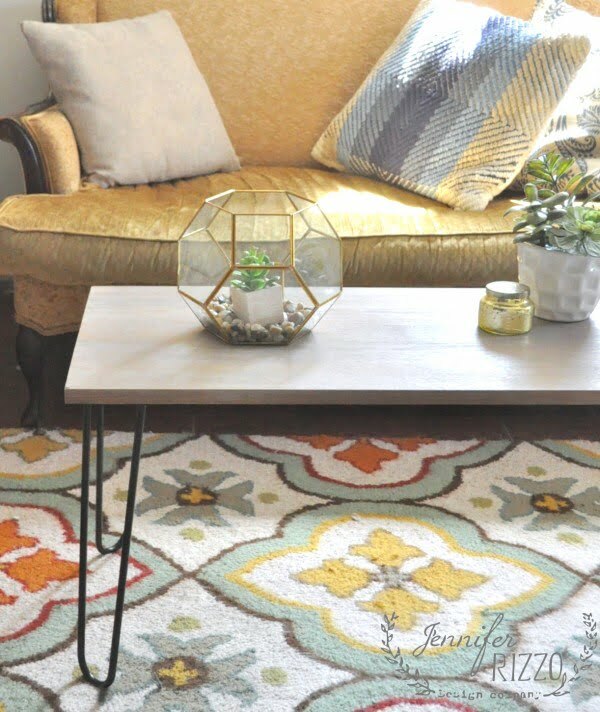 Why not try a DIY Mid-Century hairpin table? 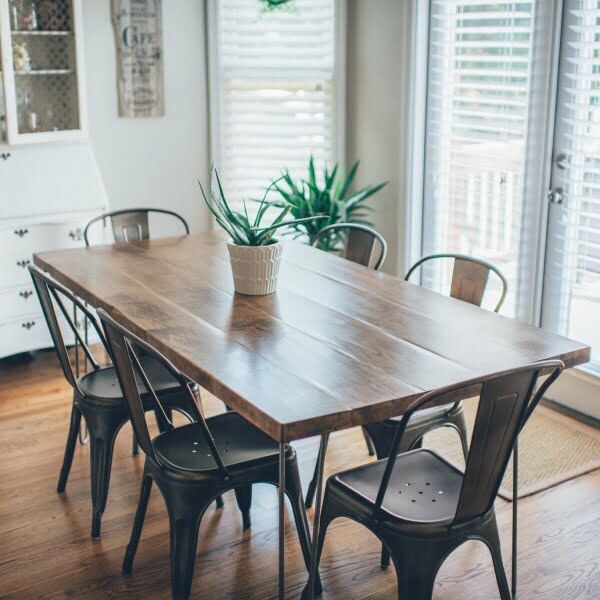 While purchasing the real thing could be quite expensive, you can easily create the table with no worry about the cost. Every step for creating this beautiful piece of furniture is discussed in this tutorial.